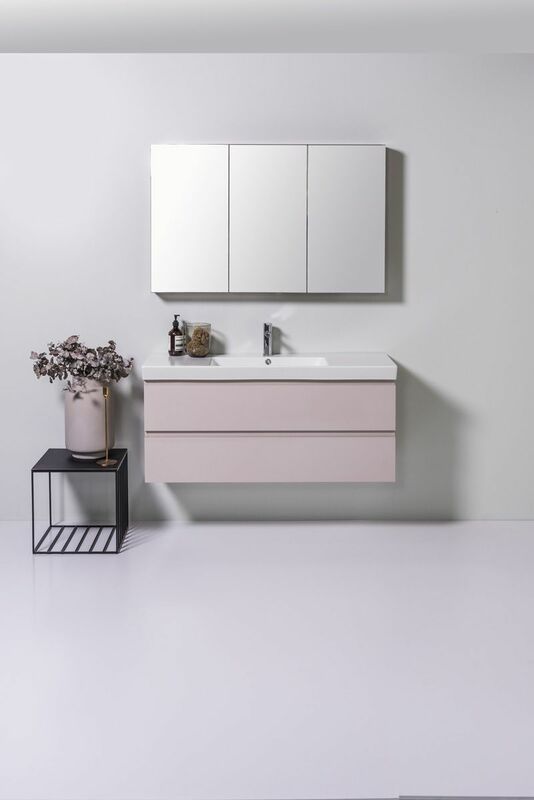 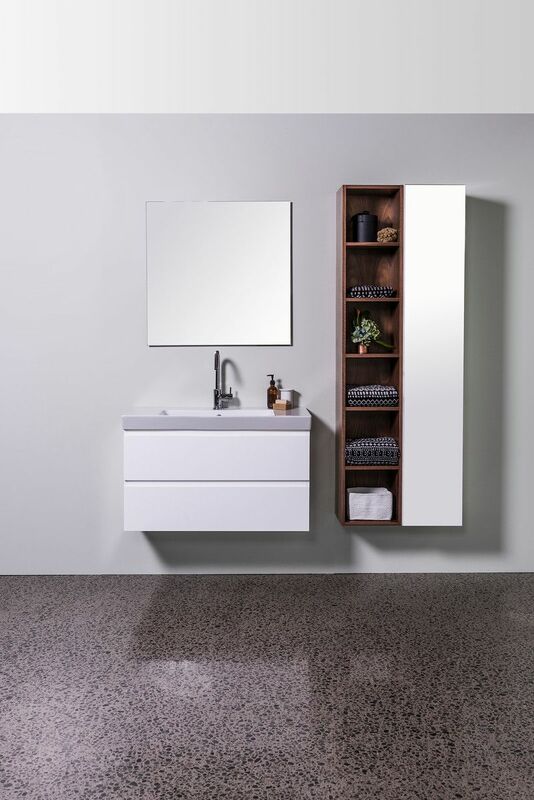 With smooth, sleek lines and great storage, the Edge offers a solution to those tight space bathrooms with a cabinet depth of only 380mm. 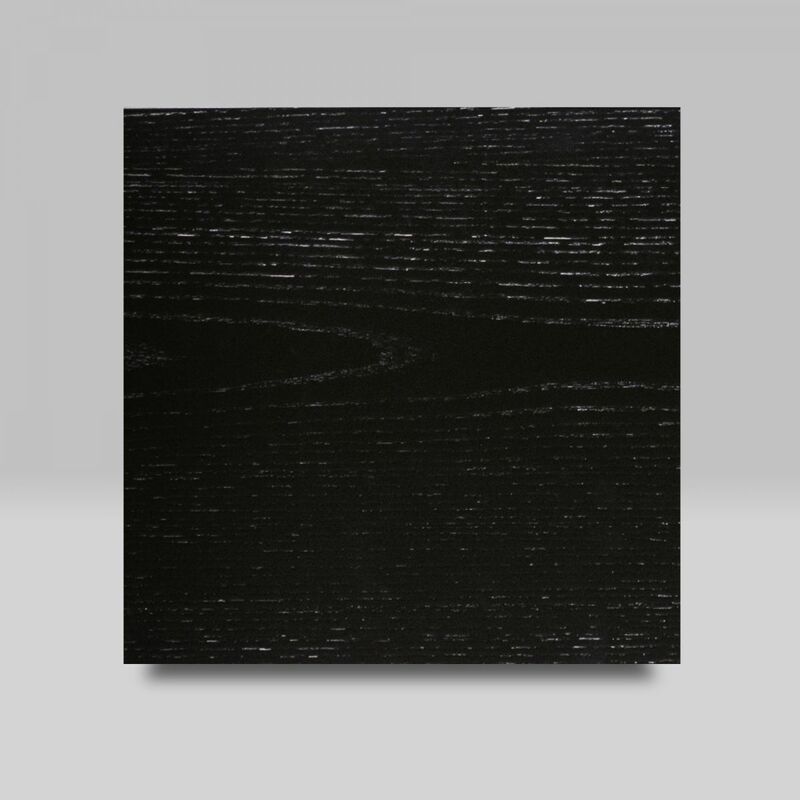 Basin top features a slanted front panel which sits closely near the edge of the basin. 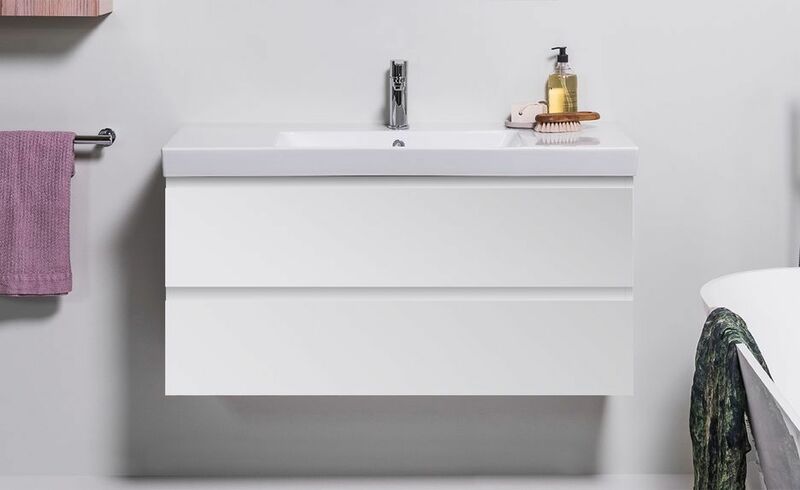 Wall-hung vanity - 2 drawers. 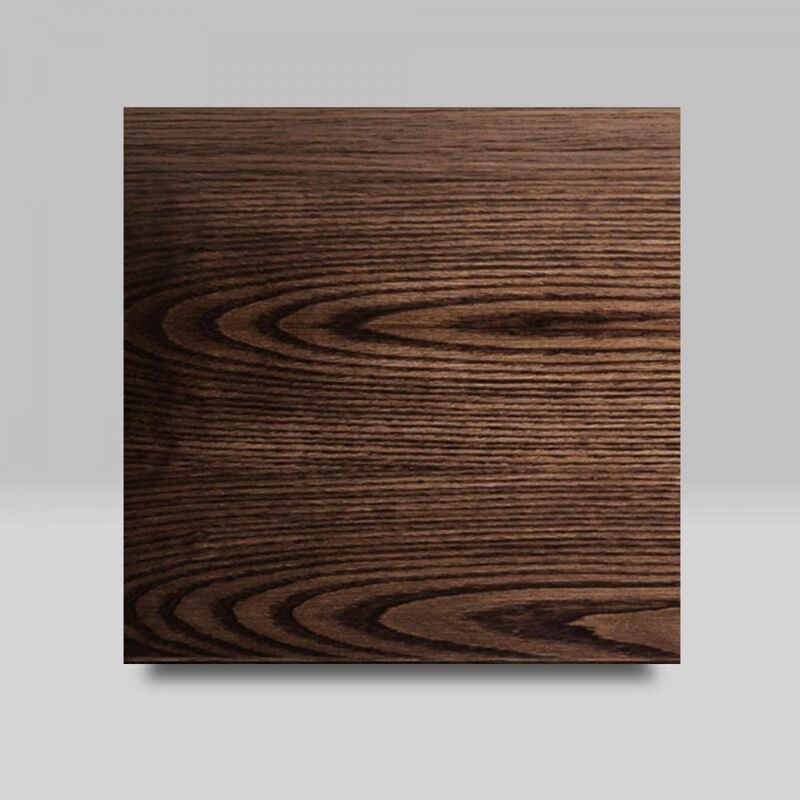 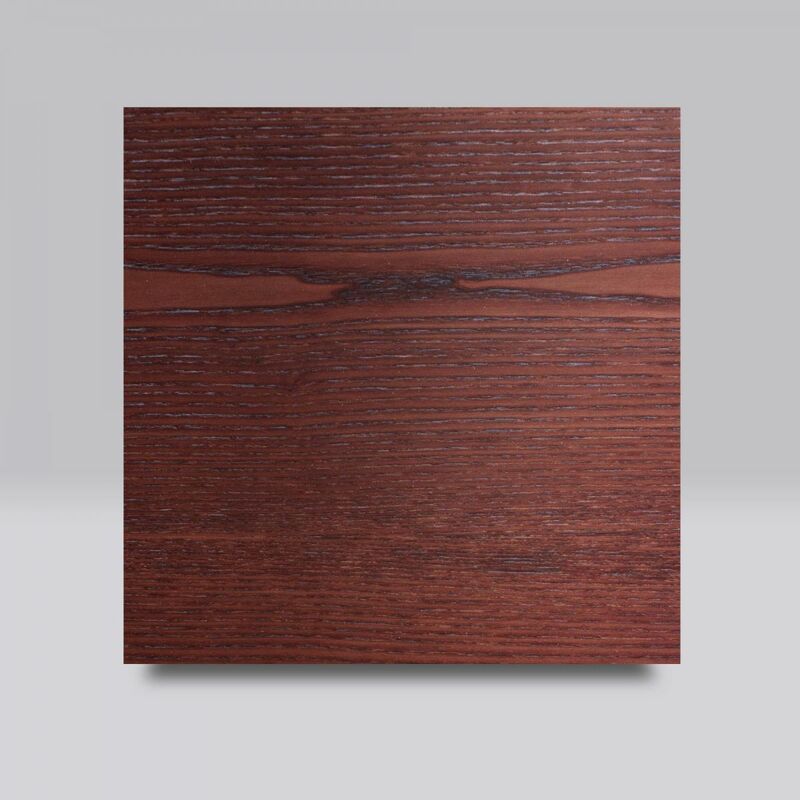 Available in 610, 710, 910, 1060 or 1200mm. 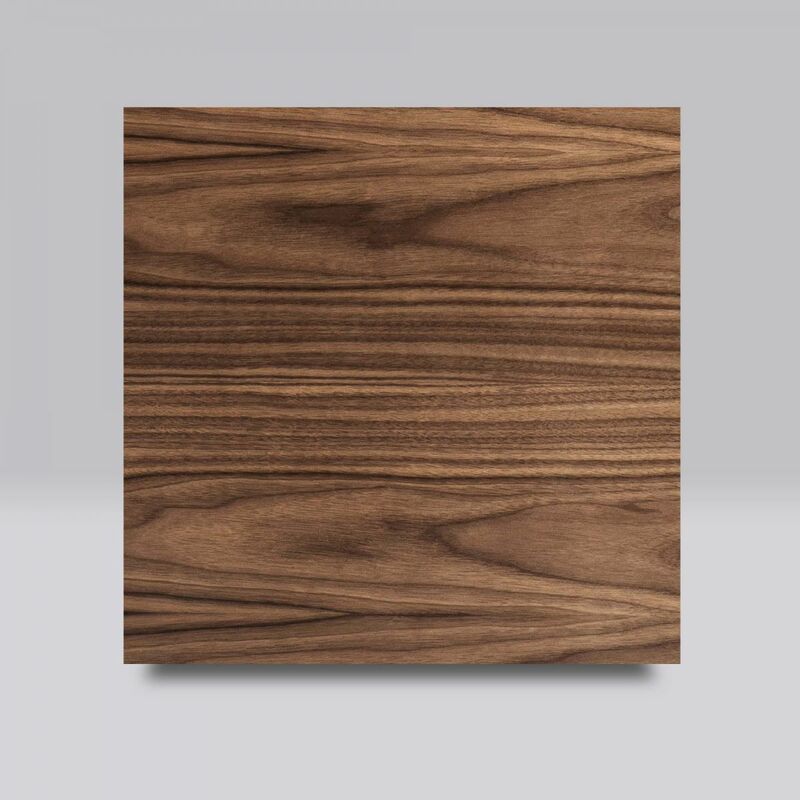 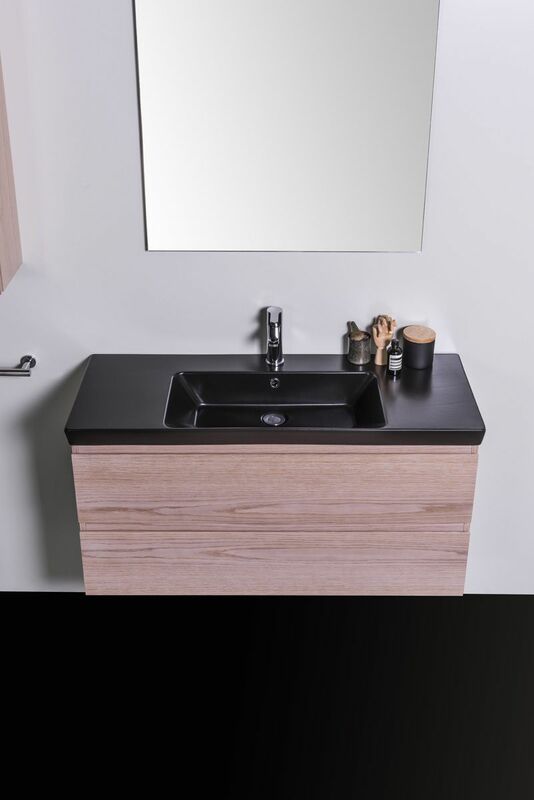 1060 & 1200mm tops available with offset left / right-sided bowl. 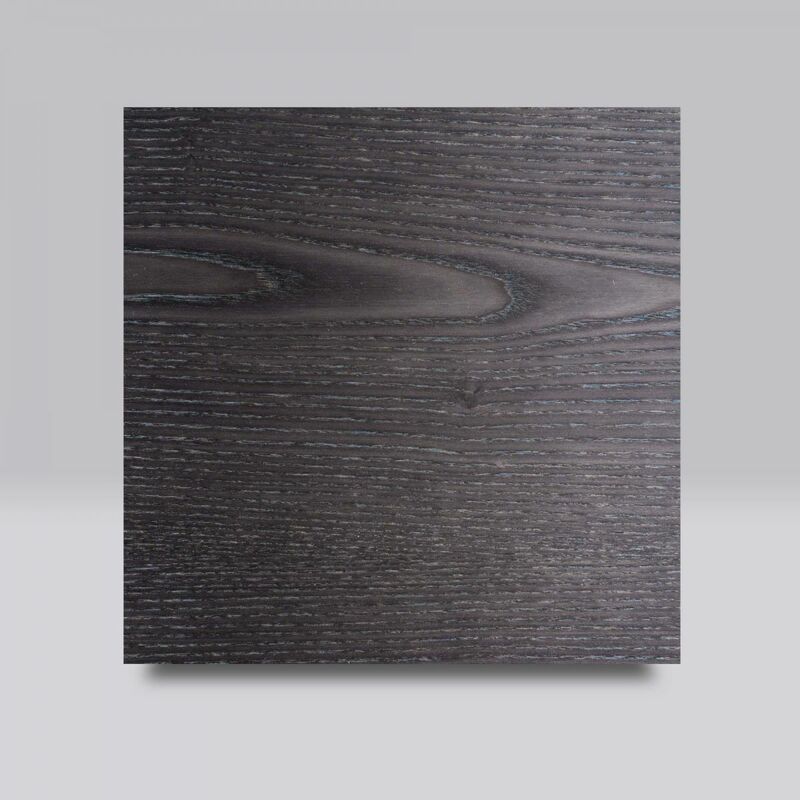 Matte Black** (910 & 1060mm only - non stock item). 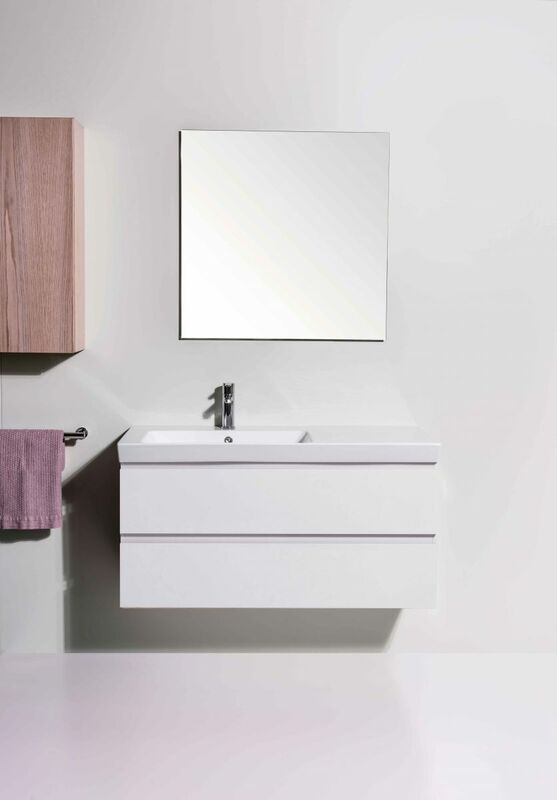 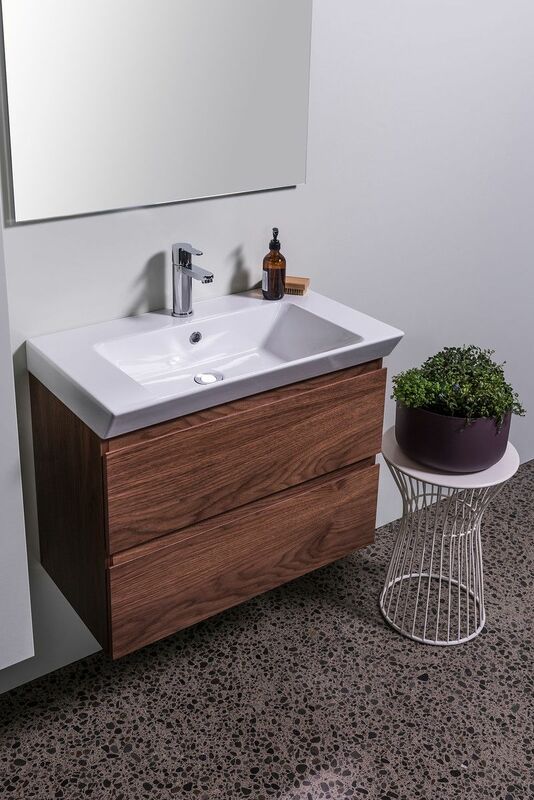 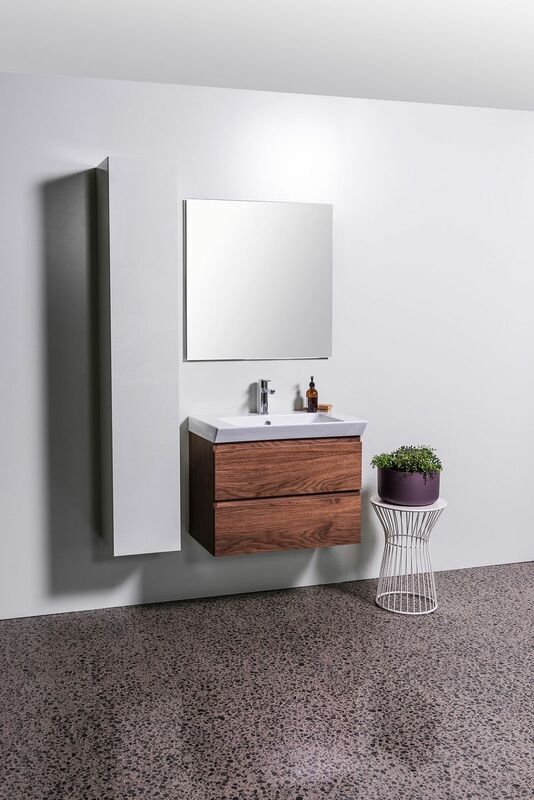 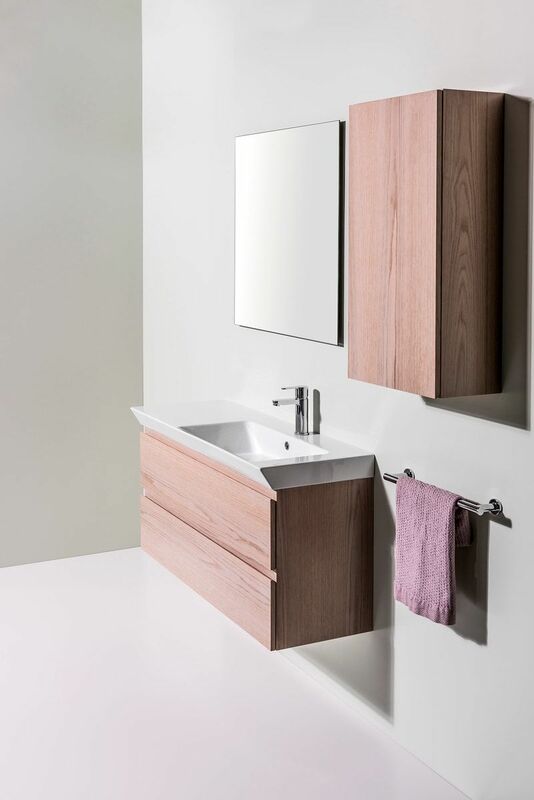 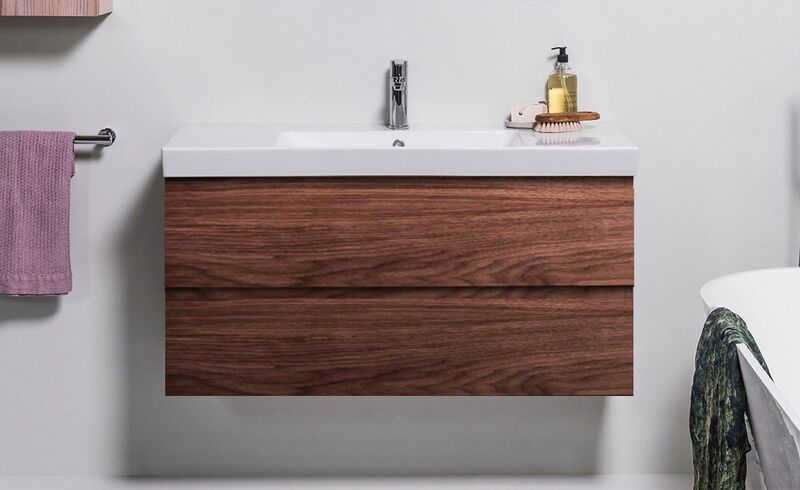 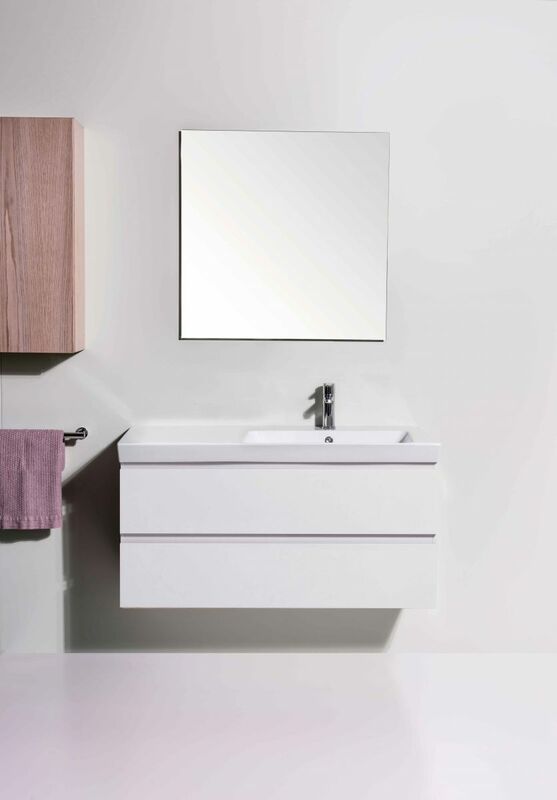 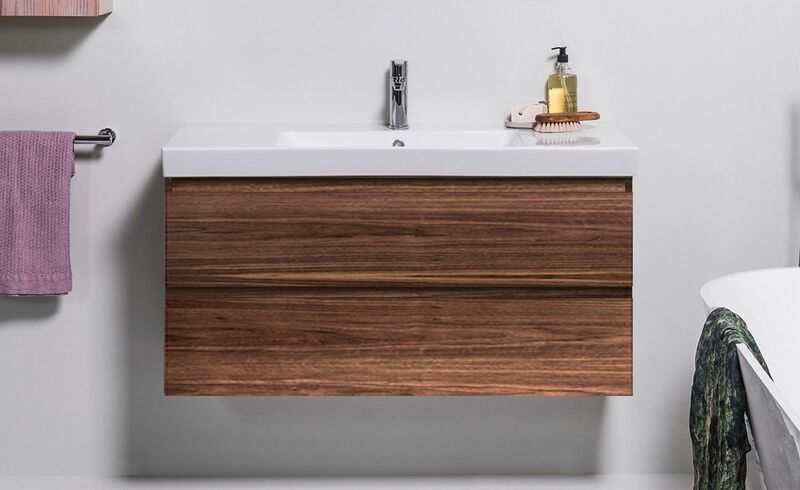 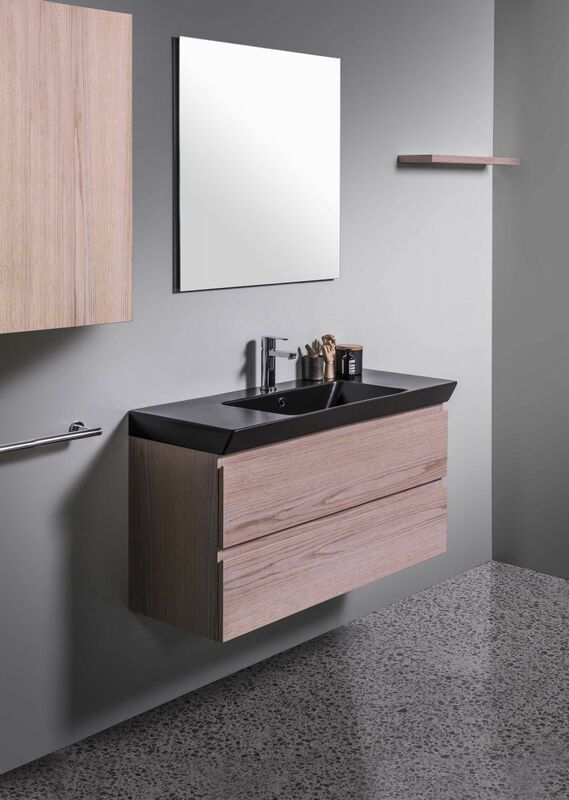 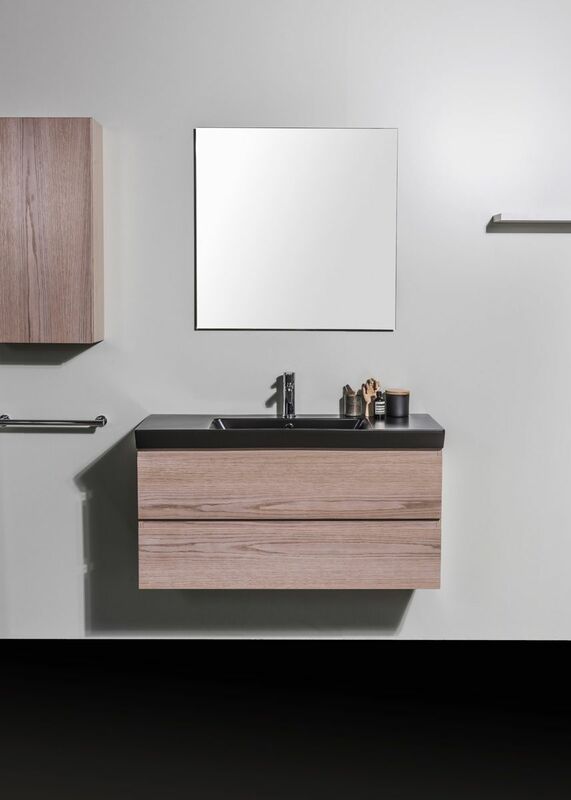 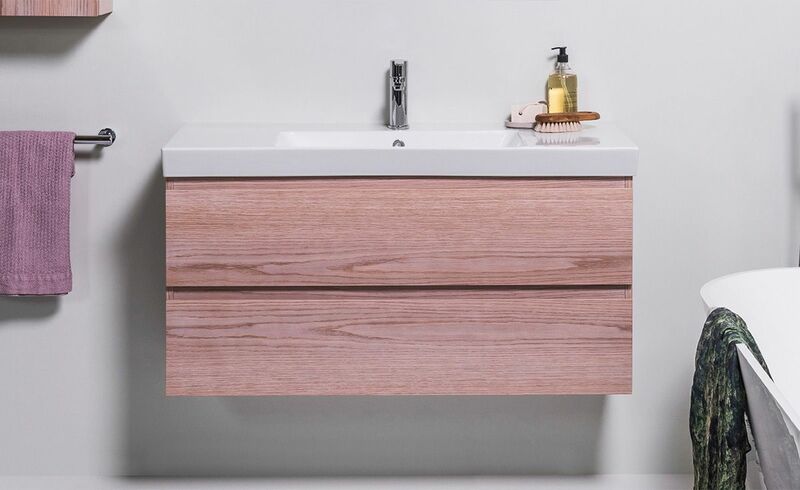 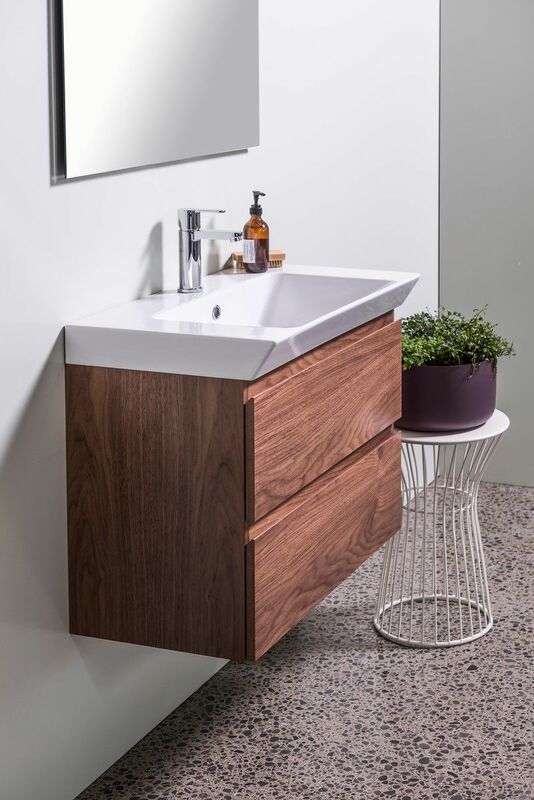 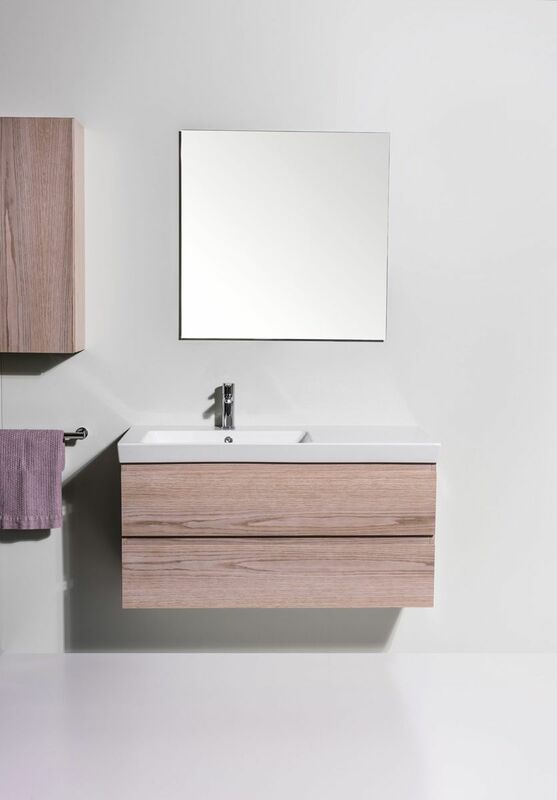 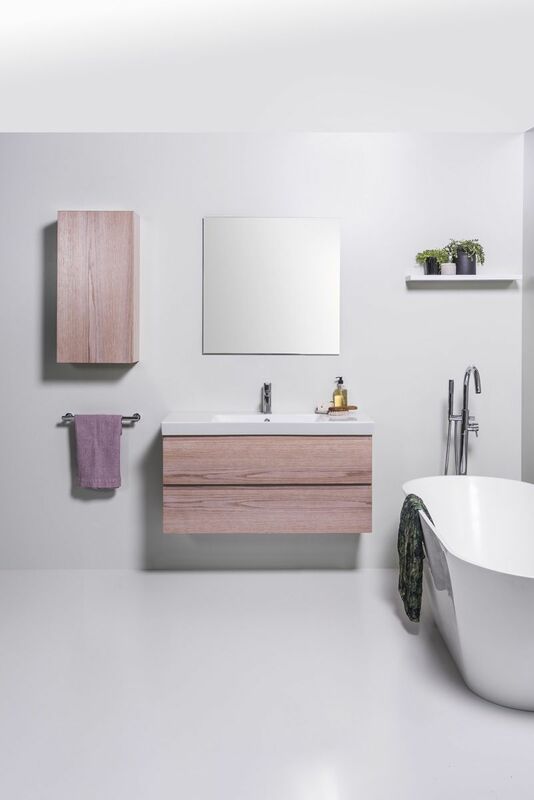 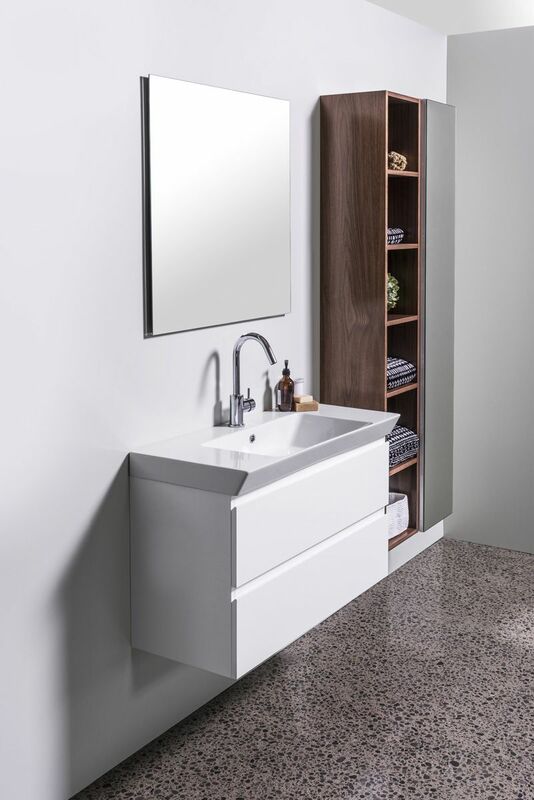 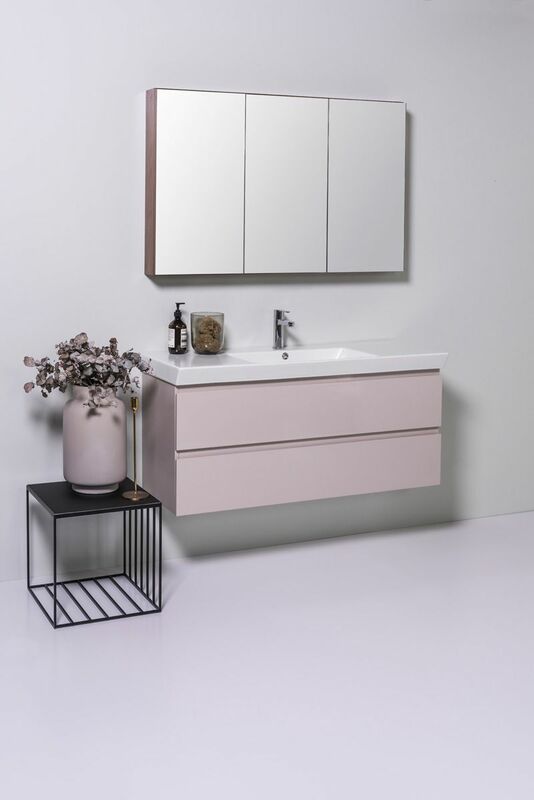 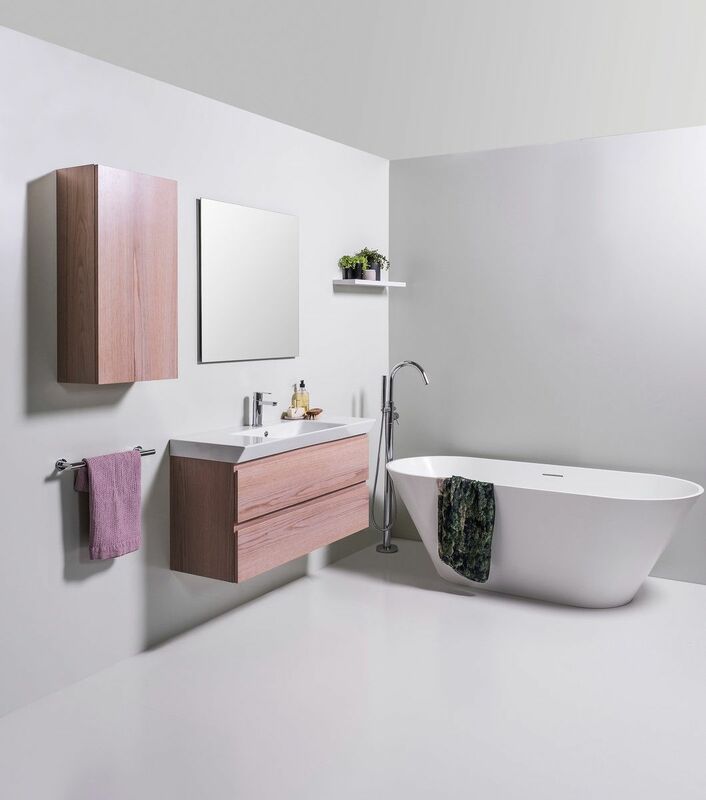 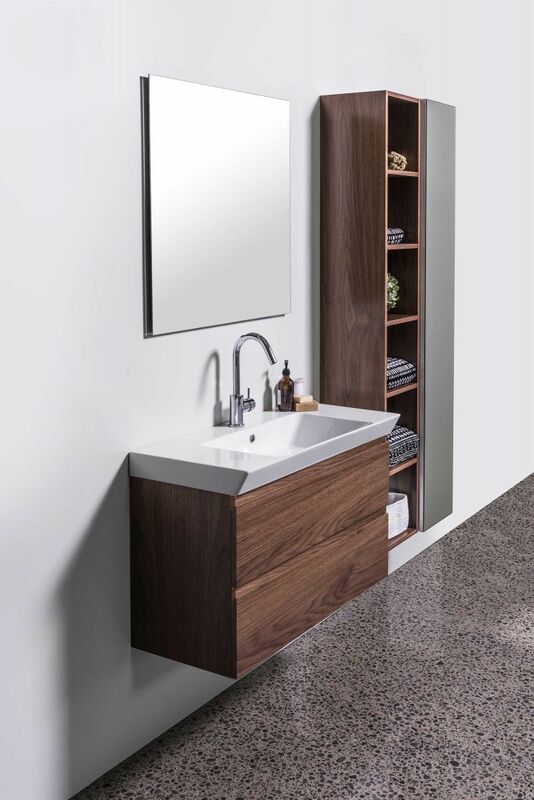 Vanity available in White, Timber Veneer* or Custom Colour of your choice^. 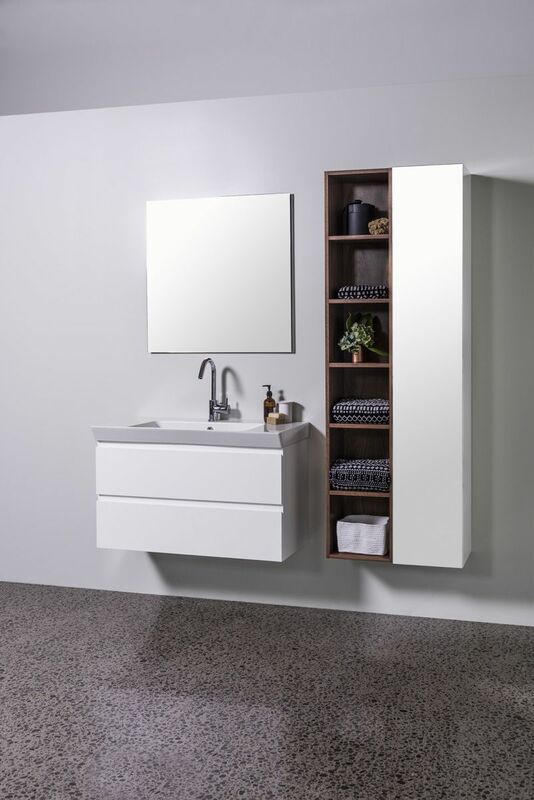 Price includes a top and cabinet. 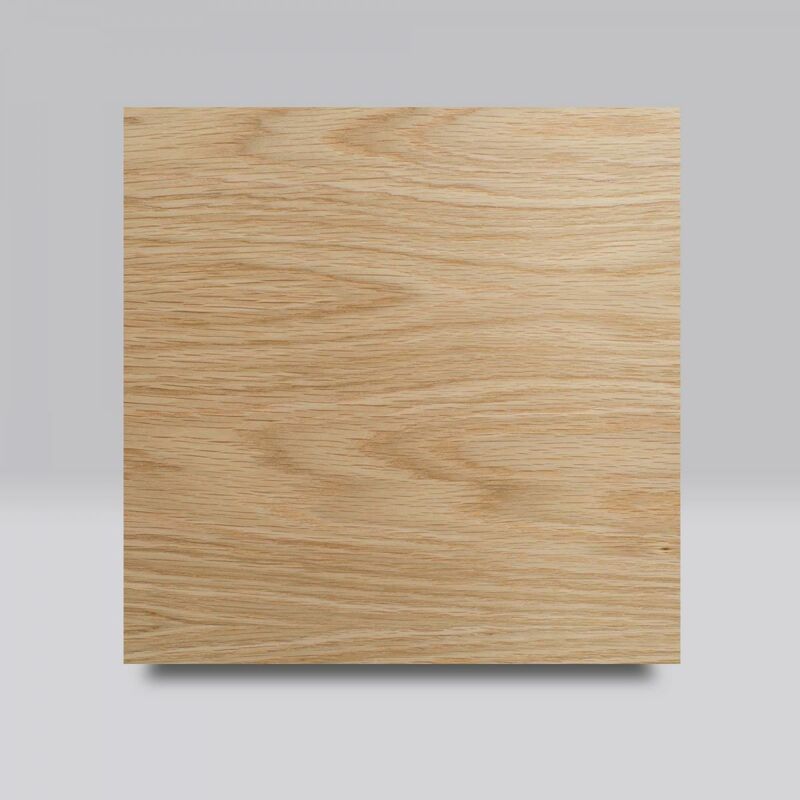 Top comes with predrilled taphole. 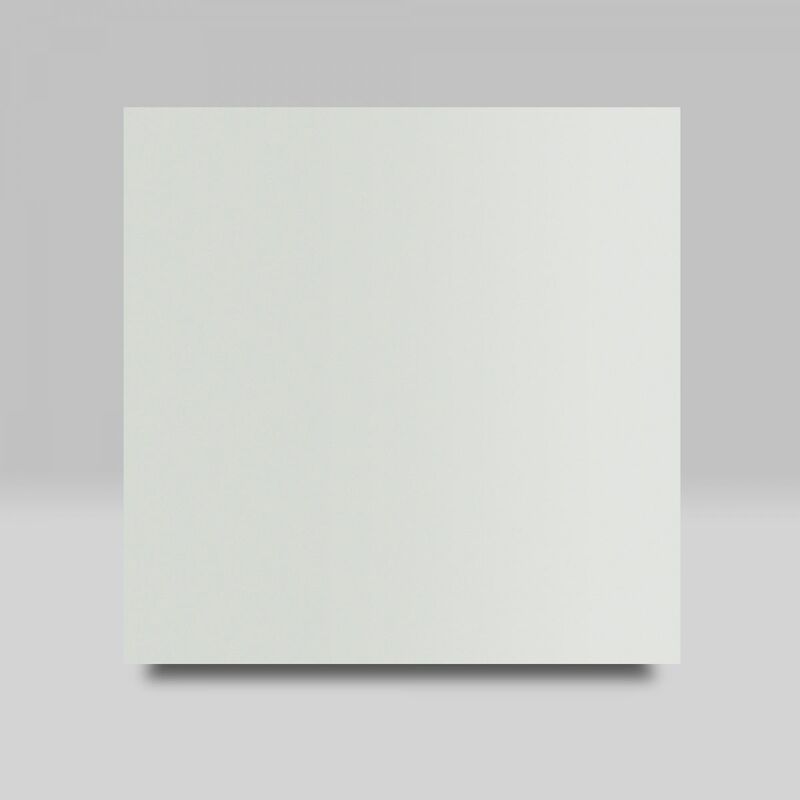 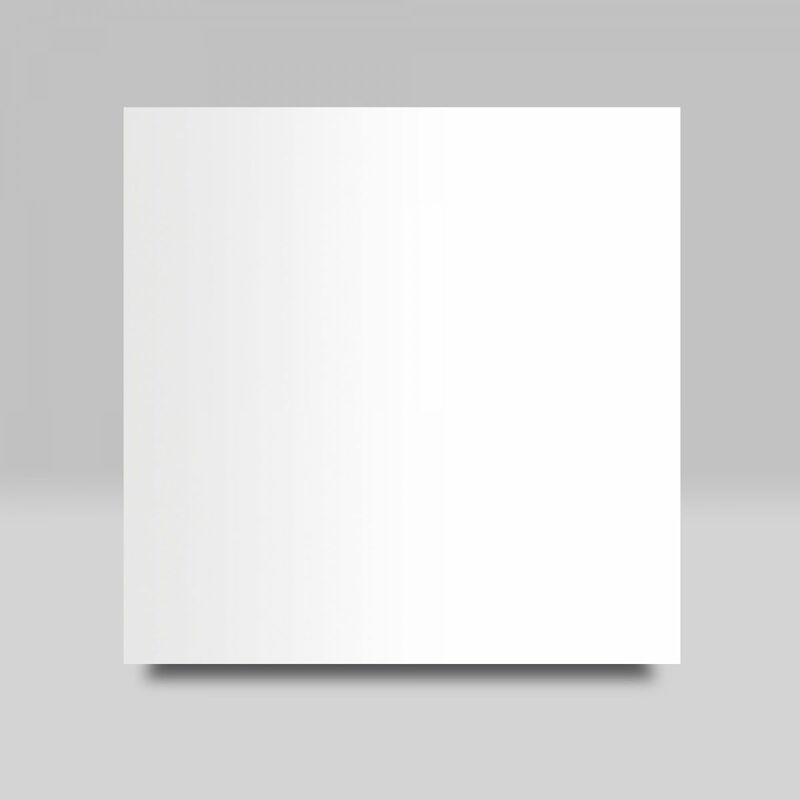 **Surcharge applies on Matte White & Matte Black Edge top. 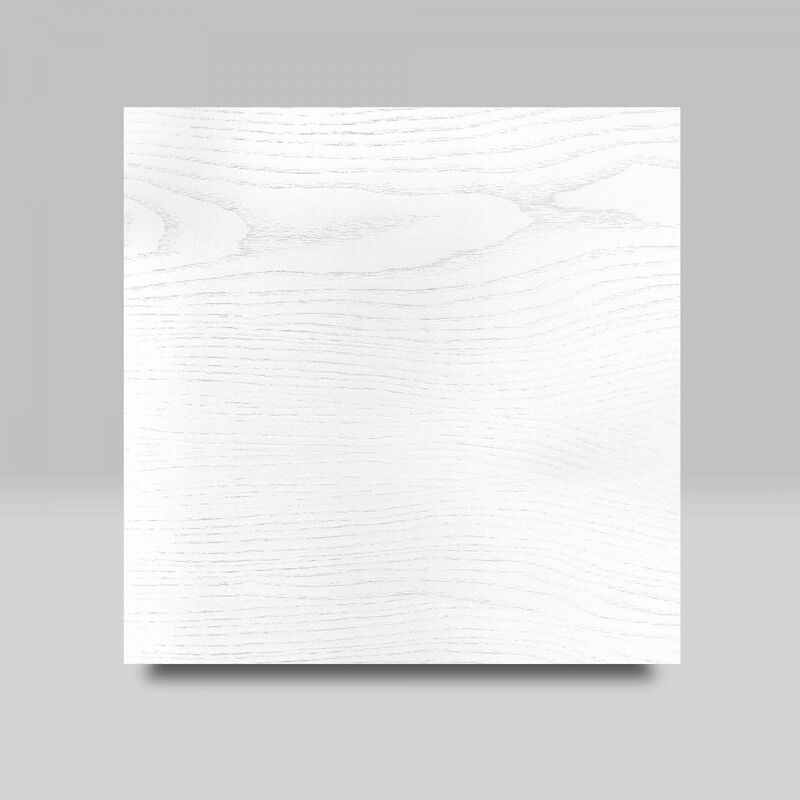 Non-stock items. 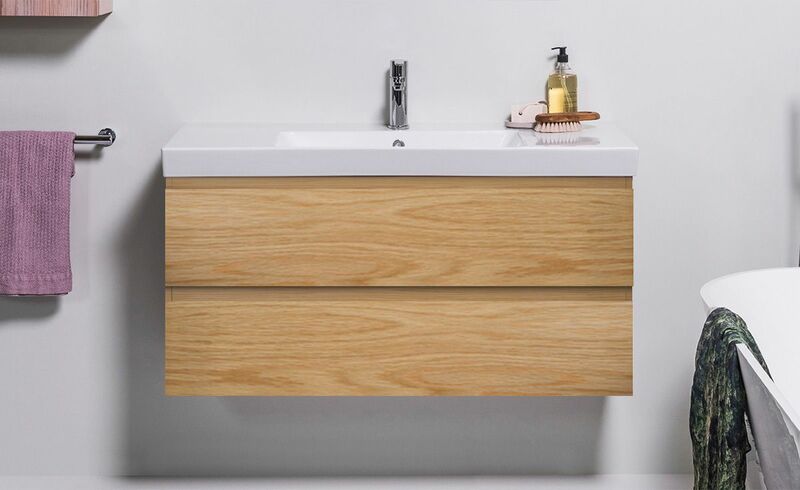 When using a hidden bottle trap, we recommend 40551-32, this will take up minimal space inside drawers.